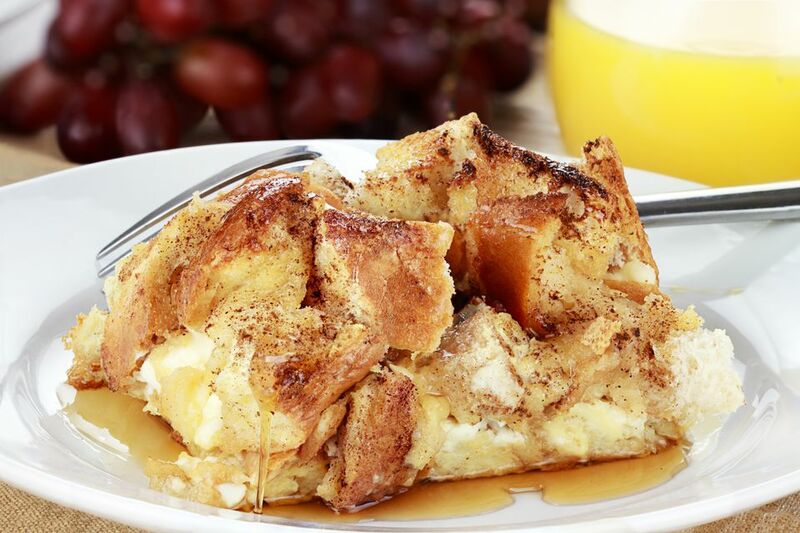 This overnight French toast casserole recipe is ideal for holidays and special occasions because it is made the day before. It only takes about 15 minutes to assemble the casserole, then chill it the refrigerator overnight, and bake it the next day. What really sets this recipe apart from the rest is the sweet crumb topping. If you really have a sweet tooth, double the topping! It's decadent, but divine. Bake 45 minutes to 1 hour. If you prefer a softer, more custard-like French toast, bake the casserole for 45 minutes. If you like a crunchier, more toasted texture, bake it for 1 hour.